We invite you to join our talent community and participate in a great company and enjoy the opportunities that we provide our people! 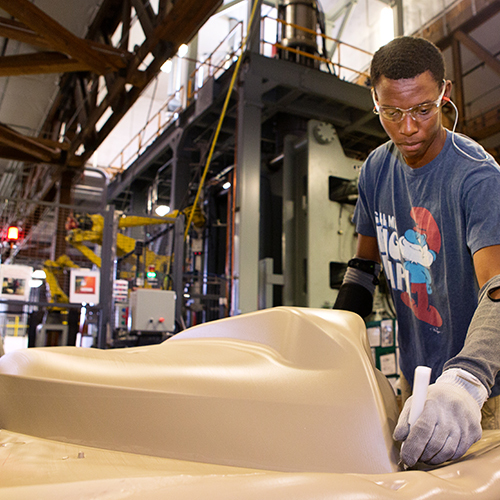 Everyday around the world, our employees are building high-quality innovative products. We take pride in hiring talented team members who share in our passion for continual improvement in everything we do. Our team atmosphere provides a fast-paced environment with opportunities for career growth. Come join our team and be part of something great – you can help unlock your own potential and brighten your future! Our Mission: Lifetime Will Provide Opportunities for our People by Producing High Quality, Innovative Products, While Growing Profitably. Lifetime Products has a culture that is driven by values and guiding principles that help our team demonstrate ideal team behaviors such as: respecting every individual, leading with humility, focus on processes, assure quality at the source, and continual improvement. At Lifetime we seek to have a culture where every person in the organization demonstrates a high level of respect for every other person. This principle drives all of our decisions. We are always trying to improve. From developing our employees, to improving our products, to eliminating waste from our processes, we are continually getting better. A humble leader is secure enough to recognize his or her weaknesses and seek the input and talents of others. By being receptive to outside ideas and assistance, creative leaders open up new avenues for the organization and for their employees. Giving Back: Lifetime Products gives back to the community each year by engaging each employee in a service project. This year we had the opportunity to work with 'Feed My Starving Children'. We packaged and shipped over 365,000 meals for malnourished children around the world. We look forward to having you on our winning team. Employees at Lifetime Products enjoy a great benefits package that addresses a healthy work-life balance. Employees and their families can enjoy the convenience of many services provided at our On-Site Wellness Center in Clearfield, Utah. Recently, Lifetime Products added a Fitness Center where you can participate in a variety of classes to help you stay healthy and fit. Lifetime Products offers a competitive starting wage plus shift differentials. Training helps to build our talent community as an additional great opportunity for our employees. Employees start accruing Paid Time Off on their date of hire, and Holiday Pay after 90 days.